The Internet has made everyone’s life so much easier. It is possible to find information and buy almost anything you require with very little effort. If you consider the queues you can avoid by shopping and doing business online, you would choose the internet all the time. When it comes to travel, not only can you book your flights or accommodation online, you can also make arrangements to rent a car or have your personal vehicle serviced, ready for your trip. If you intend taking a trip to Mexico, you should not forget that you require Mexican car insurance if you are going to use the roads in the country. Buying your Mexican auto insurance policy online will allow you to view a range of policies, with added facilities. You will be able to enter online chat rooms where insurance experts will offer you solid advice about the available options and requirements. All of this can be achieved without leaving your home or having to get into your car and drive somewhere to obtain Mexican vehicle insurance. Purchasing Mexican insurance through online websites like Mexinsurancestore.com offers you many benefits, compared to waiting until you reach the border. You can purchase your Mexican insurance online through this link. One of the first benefits is that you can buy a policy online without leaving the comfort of your home. You can commence purchasing your insurance policy online and if you need to go and do something else, you can do so and your policy purchase will be saved until you return. All you need to do is continue where you left off and eventually purchase your policy. You will have a range of options. Aside from the actual policy, you will be able to consider the available add-ons and decide which ones would be most suitable for your trip. You will also be able to play around with the range of options and decide on the options most suitable for your personal circumstances and budget. You will have the opportunity to play around with the various options, before making a final decision. Once you have made the decisions regarding the options available, you will have the opportunity to review your choices and decide if that is exactly what you require. You can make any changes you desire before clicking on the button to accept your final choice. However, before you click that final purchase button, you should take the time to review the small print of the policy. You do not want to be faced with an unexpected clause in your contract at the time when you have been involved in an accident. Once you have made your final purchase, you should review what you are about to buy and if you are happy with it, pay for it and print at least two copies – one in English and one Spanish. Purchasing Mexican car insurance online provides you with the opportunity to obtain a policy of your choice, without the hassle of standing in a long queue. It also offers you better prices than what you will obtain at the border post, with more options. If you sit down and compare the differences between buying a policy online and buying one at the border post, you will immediately realize that there are more benefits to buying online. There’s nothing that can protect me better when driving outside Canada than having Mexican insurance. Since I’m away from my country, the more I need to get my car insurance. I have just insured it lately with Mexican Insurance Store. I have never been to Baja. According to my neighbour, the place is perfect for a vacation. That’s the main reason why I bought Mexico insurance. I want every moment of vacation to be worry-free and filled with fun. My insurance helps me a lot. When it comes to protection, car insurance is the most important thing car owners and drivers must have. I’ve got mine when I searched online. Great! I found the right policy I need. Price is low but the coverage is really good. Mexican insurance meets my needs. In Baja, we’ll also be heading off to the Sea of Cortez. We’ll take some pictures of various whales and do other activity fun. This could never be possible without my Mexican auto insurance. I need it to drive legitimately to Mexico. It’s fast and hassle-free when you buy your Mexico insurance online. Customer service and support are superb. You can always free yourself from the chaos you might have when you buy insurance from the border. 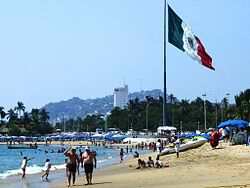 Buy your own Mexican insurance at this site and you will be happy. 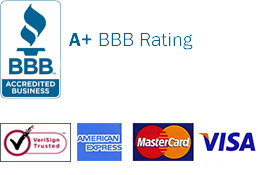 You may ask for a free quote and choose and print the right policy online. Getting Mexican insurance online tends to be less expensive compared to border. In addition, it is easy and quick. You will save most of your time getting the right policy online than lining up in queue at the border. Tijuana border driving where people cross south of San Diego into Baja is one of the busiest borders. Its busy during weekend evening or afternoon. For safety driving tips, you can ask assistance from Mexican Insurance Store. 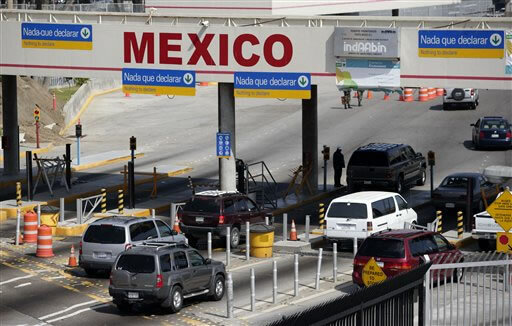 Mexican border is very popular because it offers Mexican insurance to tourists and travelers. Quickly you can buy Mexican insurance coverage that insures you and your car—giving you safe protection. Crossing north of the border from Mexico while driving back to US will take more than a single hour during busy time—especially through weekend evenings and afternoons! Driving to Rocky Point requires only one thing: Mexican insurance. As long as you’re covered, your fear of driving will be reduced. Buying Mexico insurance at the border is more expensive than buying online. But no choice, you have to buy one to cross the border and access Mexico.